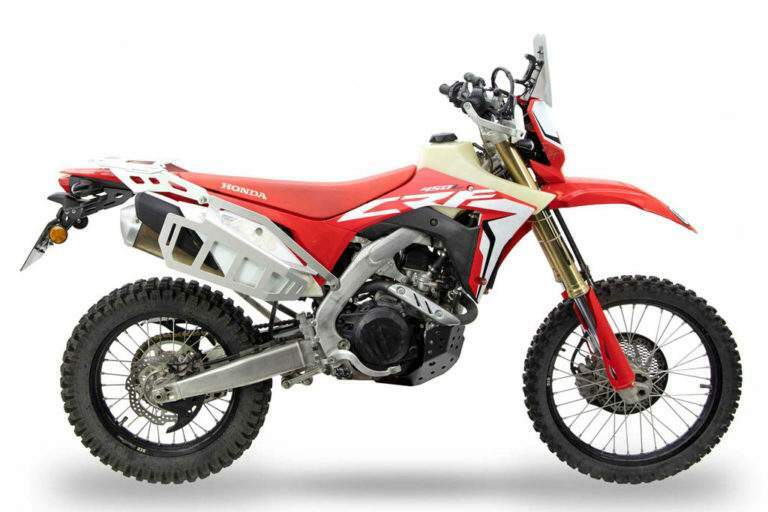 Adventure Spec, UK,Yorkshire-based, parts specialists, developed a full adventure kit for the Honda CRF450L. 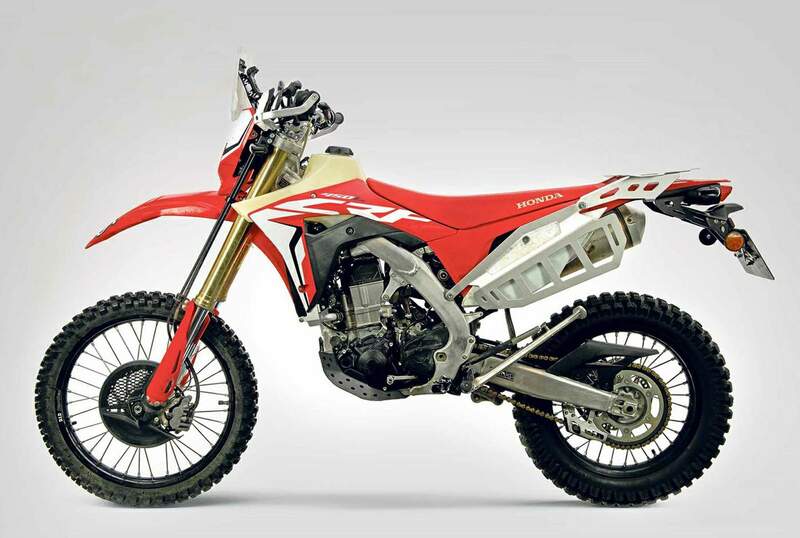 “The new Honda CRF450L has ruffled feathers in the lightweight adventure market. 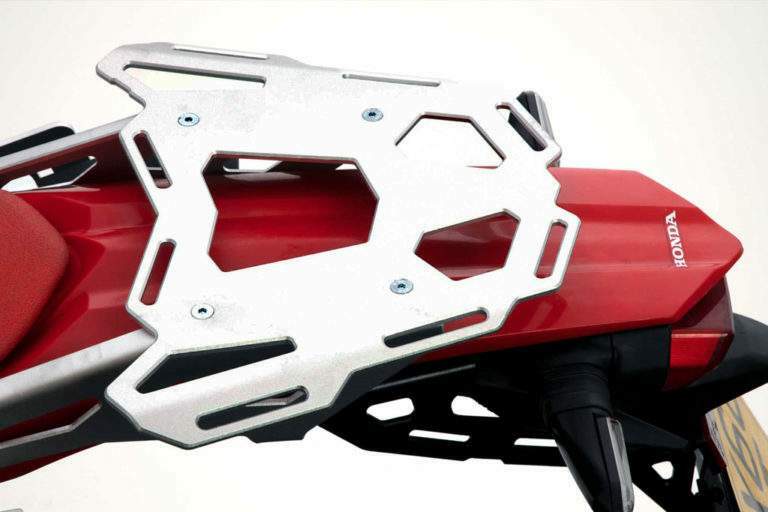 Is it an enduro bike? Is it an adventure bike? Or is it a trail bike? The joke in the office is we are trying to make a Honda Africa single. 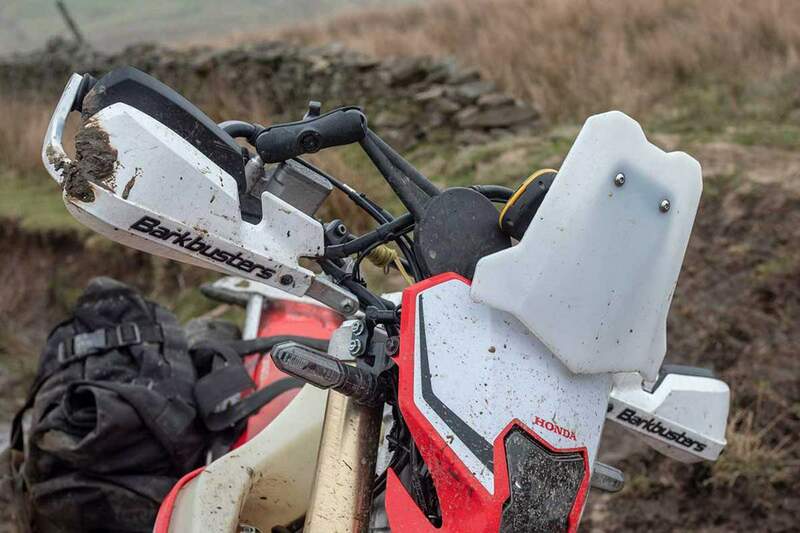 We want the functionality of that bike with its capability to enable us to navigate and be safe and keep everything protected,” says Adventure Spec. 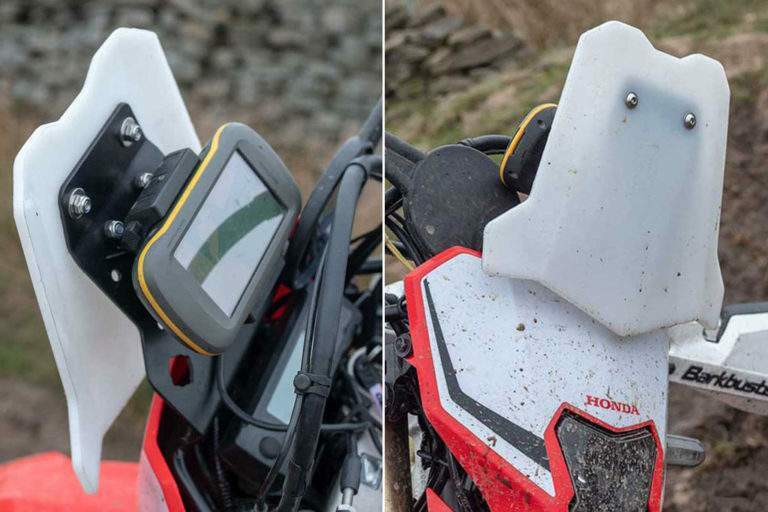 - New AS CRF450L Mini Fairing designed to be used with a Gamin Montana GPS and featuring mount holes for a dual USB socket and Symtec Grip Heaters. 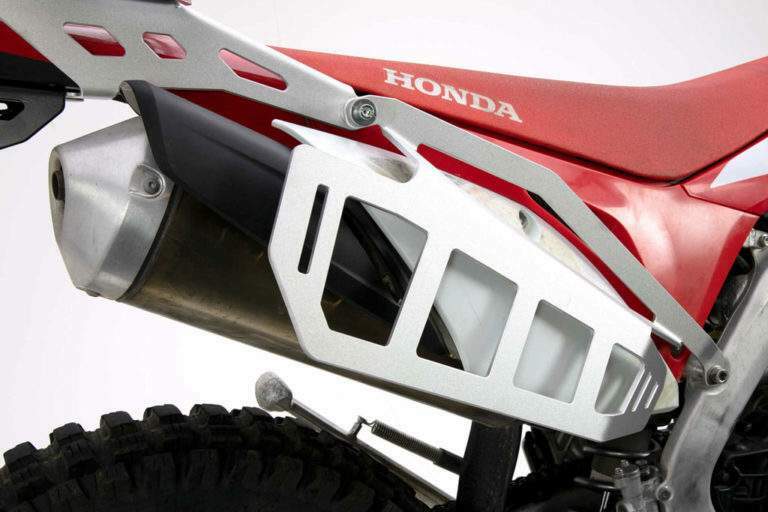 - IMS fuel tank adds 50% more fuel capacity to your Honda CRF450L, putting it to 11.4 litres. The tank takes only minutes to install and is designed with a Polyethylene Crosslink for increased strength and durability. 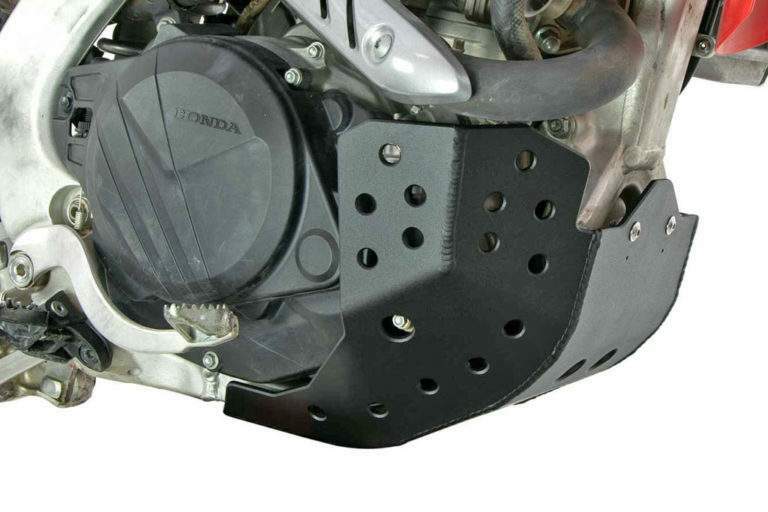 - AS radiator braces to add strength but maintain cooling for radiators. Adventure Spec claims that they fit perfectly with either the larger capacity IMS tank or the stock one without making your bike wider. 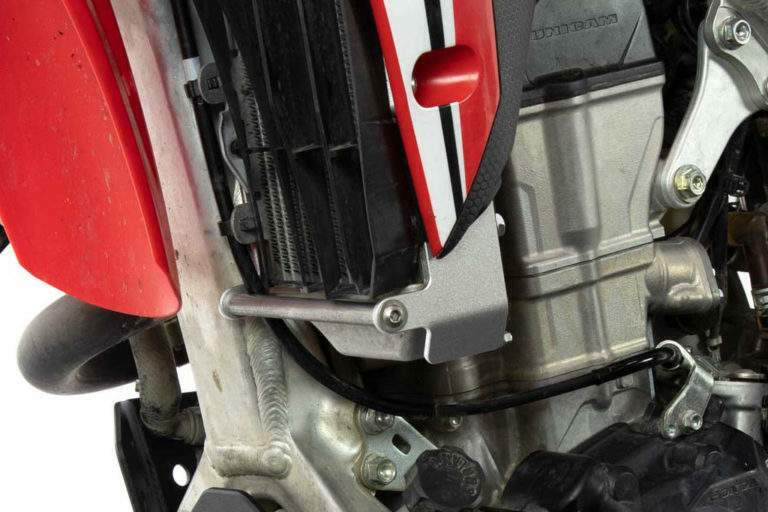 - 4mm aluminium skid plate to protect your engine and is designed to be easy to fit and remove for oil changes. 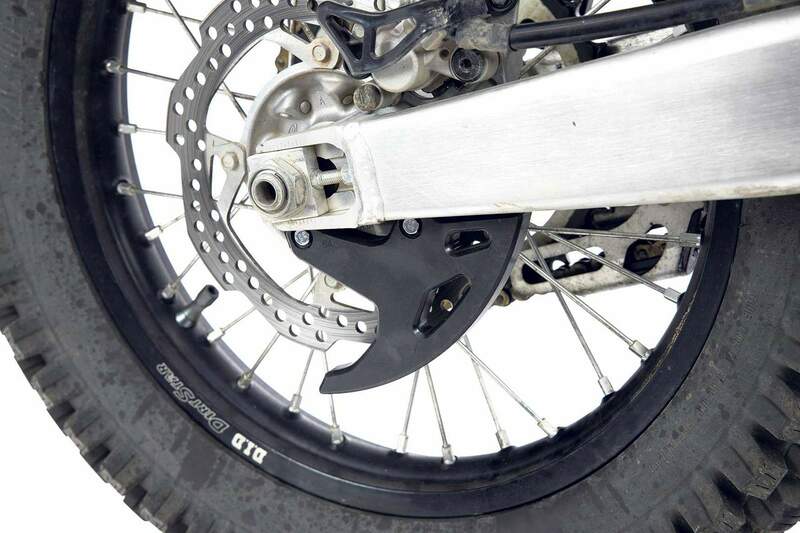 - AS designed side luggage supports and a luggage rack for the top of the rear fender. 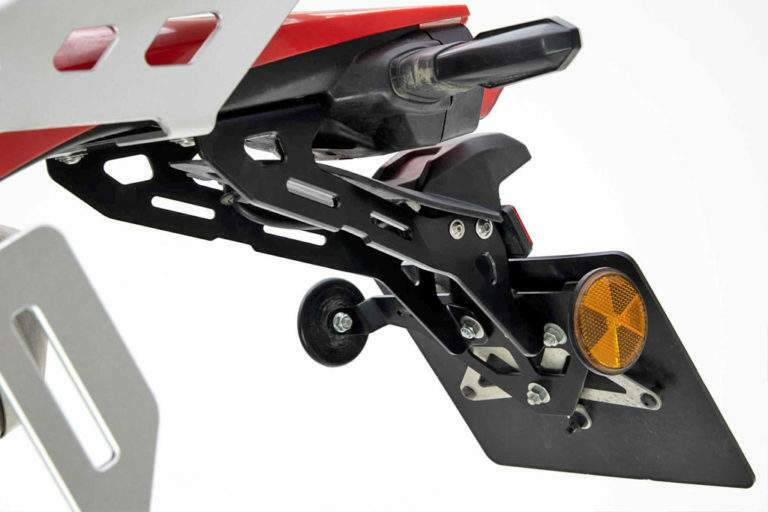 The side luggage supports give you the base for saddlebags while the rear luggage - rack takes tail pack and duffel bags. 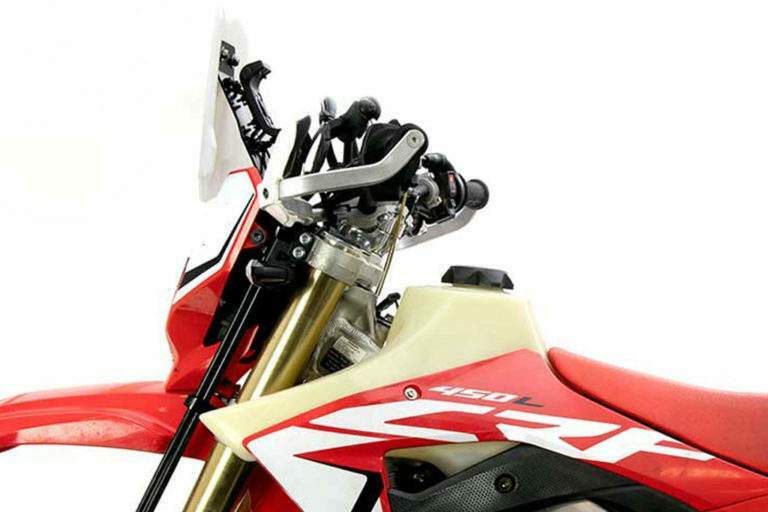 - Adventure Spec’s CRF450L Tail Tidy and rear number plate assembly.